Yesterday’s post was timely, it turns out, because today, Pokemon Go was released in the wild. I downloaded it and caught my first two Pokemon in the Great Hall at Chawton, waiting for a meeting that I’ll write more about tomorrow. But after that meeting I was off down to Petworth to have a go with the new(ish) Park Explorer. The Park Explorer is one of the outputs of a three year long archeology project, exploring what’s under the Capability Brown landscape that survives today. I have some responsibility for the way it works. When my colleague Tom explained his plan to build a mobile application, I dissuaded him. There is little evidence that many people download apps in advance of their visit to Heritage sites. And even fewer wish to deplete their data allowance on the mobile network to download it on site. Together, we came up with an alternative – using solar powered Info-points to create wifi hotspots around the park that could deliver media to any phone capable of logging on to wifi, and browsing the web. Though in this case it’s not the World Wide Web, but a series of basic webpages offering maps, AV, etc. We’re running this installation as a bit of an experiment to gauge demand, to see, if it’s offered, how many people actually log on. Pokemon Go demonstrated why the technology might be useful. With the app newly downloaded on my phone I, of course, wanted to try it out in Petworth’s pleasure grounds. I’d guessed right, the garden’s Ionic Rotunda and Doric Temple are both Pokestops. But the wireless signal is so weak and patchy (on O2 at least) that the game could hardly log on, let alone do anything when I got within range. After a frustrating few minutes I gave up and returned to the local wifi. That crummy phone signal is one of the reasons we went to solar powered local wifi. Once I logged on I was soon listening to the voice of my colleague Tom as he explained some of the archeology of the garden, watching an animated film of the development of the park and scrubbing away a photo of the current three person gardening team and their power tools to reveal a black and white photo of the small army of gardeners that used to work here. All of this was very good. But there are some issues that I think need to be addressed if the idea is to catch on. First of all, finding the wifi signal and logging on isn’t as intuitive as I’d hoped. Your browser need to be pointed at 10.0.0.1 to find the home page. The home page design leaves something to be desired. The floating button to change text size seems an afterthought that annoyingly obscures the text its trying to clarify. Navigation isn’t intuitive (no obvious way forward from the welcome splash pictured above, for example) or that well organised – I’d hoped that I’d be offered media that was closest to my position (as identified by the hotspot I was logged into), but the browse button just led to a list of things. Switching to the map view was easier, but it showed the design lacked a degree of responsiveness – see below how the word “Map” is partially obscured by the tile with the actual map on. The pins that link to different media suggest that its good to be standing in particular places to view that media, but on the few that I tried around the pleasure grounds, there seemed to be no discernible benefit to being in the right spot. In the end I settled under a spreading Oak to sit and work my way through what was on offer. One feature that worked well to compare old and new and see change over the centuries was the scrub away photo feature. Even here though there was a fault in the responsiveness of the design. If I turned the phone into landscape mode, the picture became full screen and I lost the ability to reset it. 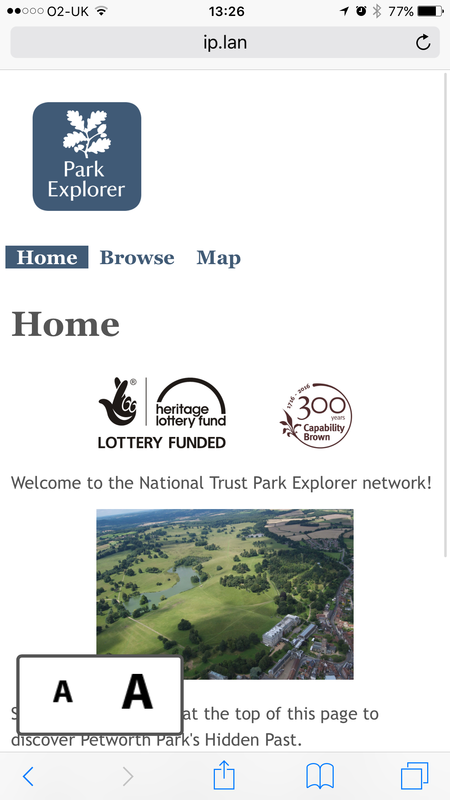 I imagined how good it would be, if it looked and felt (and responded) like the National Trust’s current website. Maybe, with a bit of work, it can. More work would be and investment though, so, first of all though we need to interrogate the system’s solar powered servers, and see how many people are giving it a try. 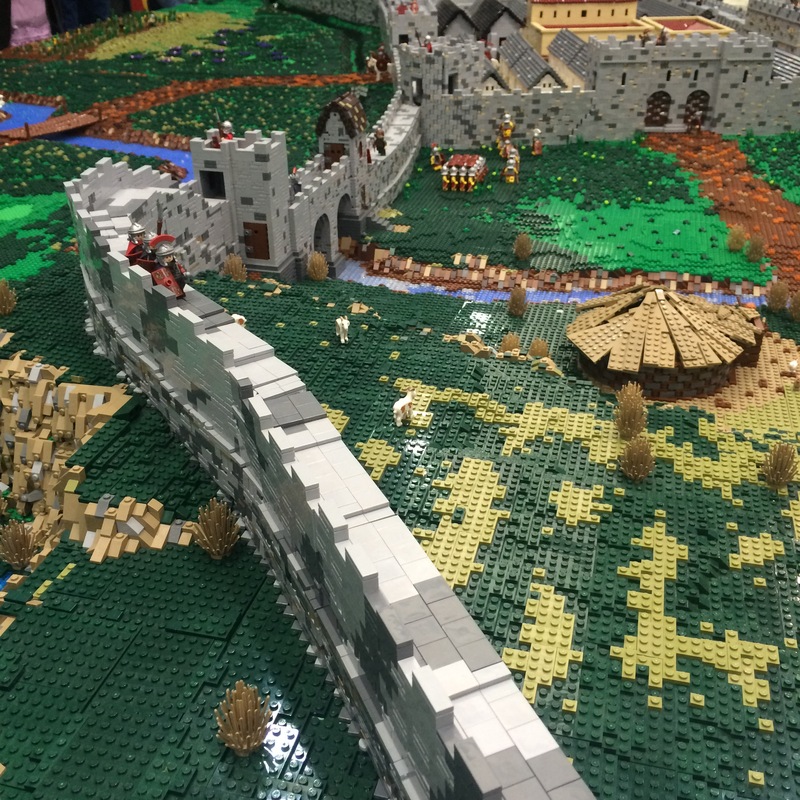 A couple of weeks ago we went to the Great Western Brick Show (which used to be the Great Western Lego Show, until one party or the other decided not to license the Lego trademark). This takes place annually at Steam, the railway museum in Swindon, and is just one of a growing number of large events run by AFOLs (Adult Fans Of Lego). It’s full of impressive models, but this year’s triumph was a huge diorama of a section of Hadian’s Wall. 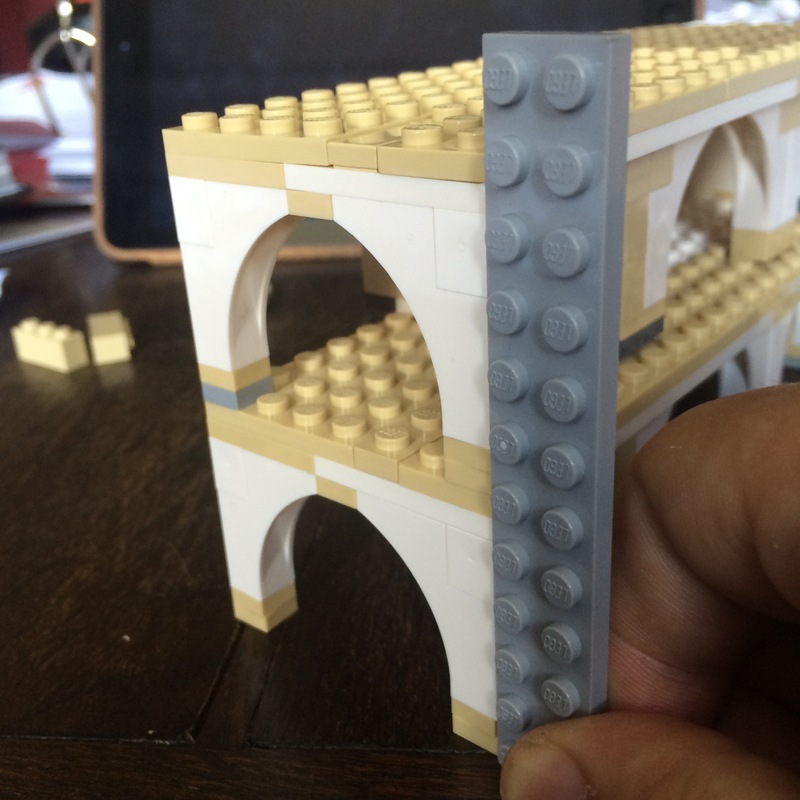 It was built by Bricks to the Past, a collective of Lego-builders with a particular interest in history. Their inspiration comes from University of Newcastle’s FutureLearn course Hadrian’s Wall: Life on the Roman Frontier. 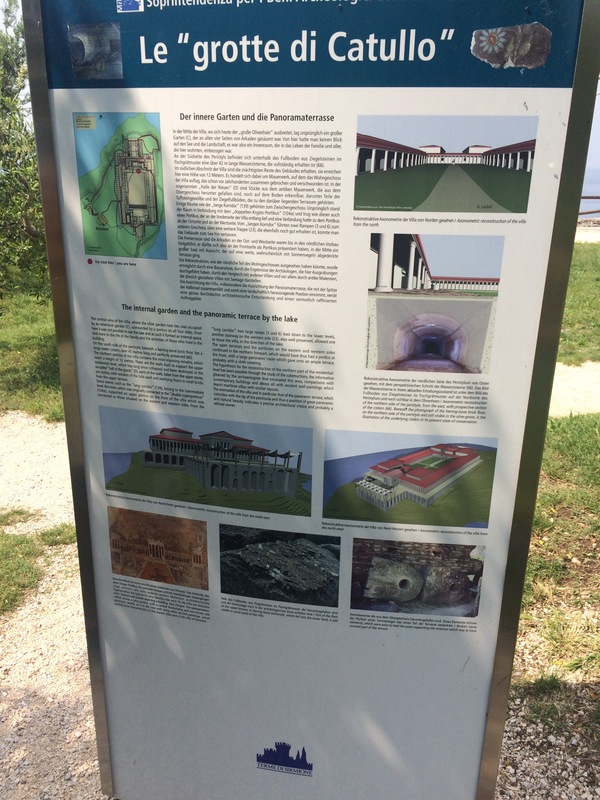 I’ll have to try to persuade them to enroll on Southampton’s Portus course next time it runs, though they are probably looking for a non-Roman project next year. 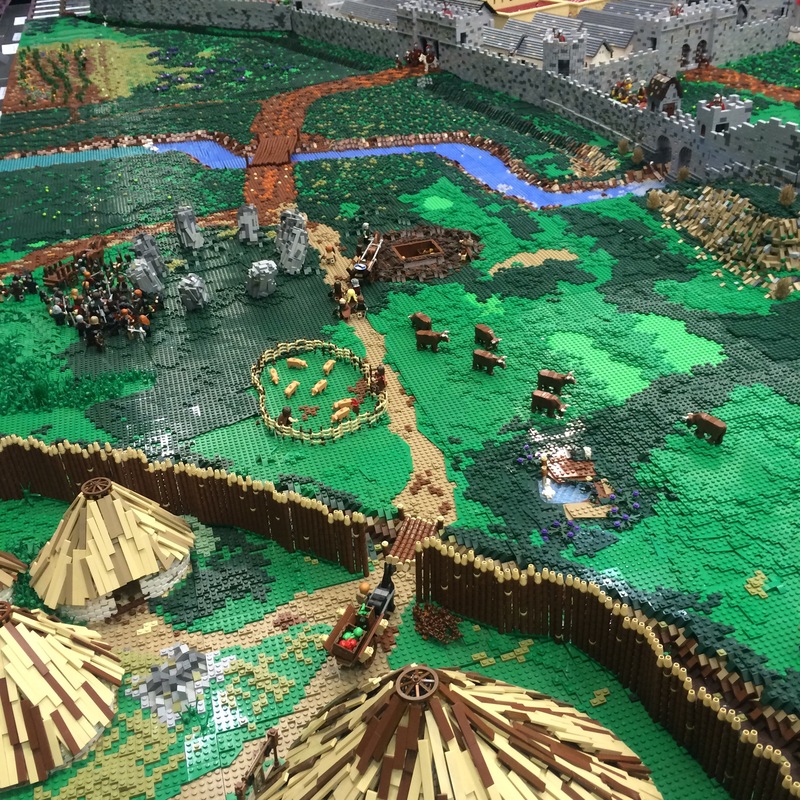 The massive model depicted aspects of life on both sides of the wall, with a Pictish village and Iron Age barrow by Simon Pickard, on the “uncivilized” side, and a Roman Villa by Steve Snasdell on the other. 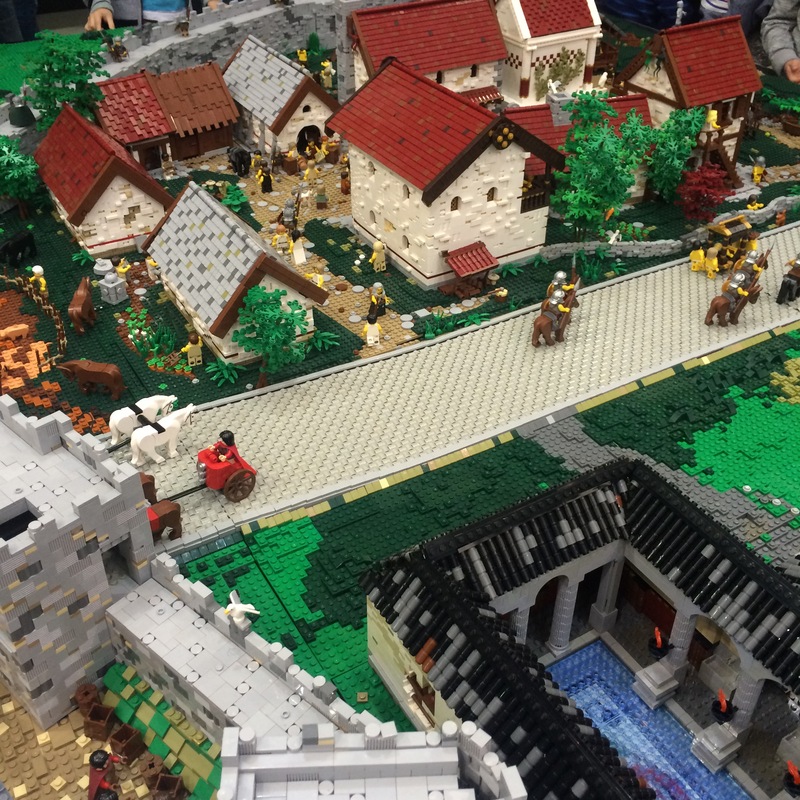 I had a brief chat with the builders at the show and they talked about some of the compromises they made with scale, particularly on James Pegrum’s fort, so they they could fit interesting features (for example Roman latrines) into the diorama. 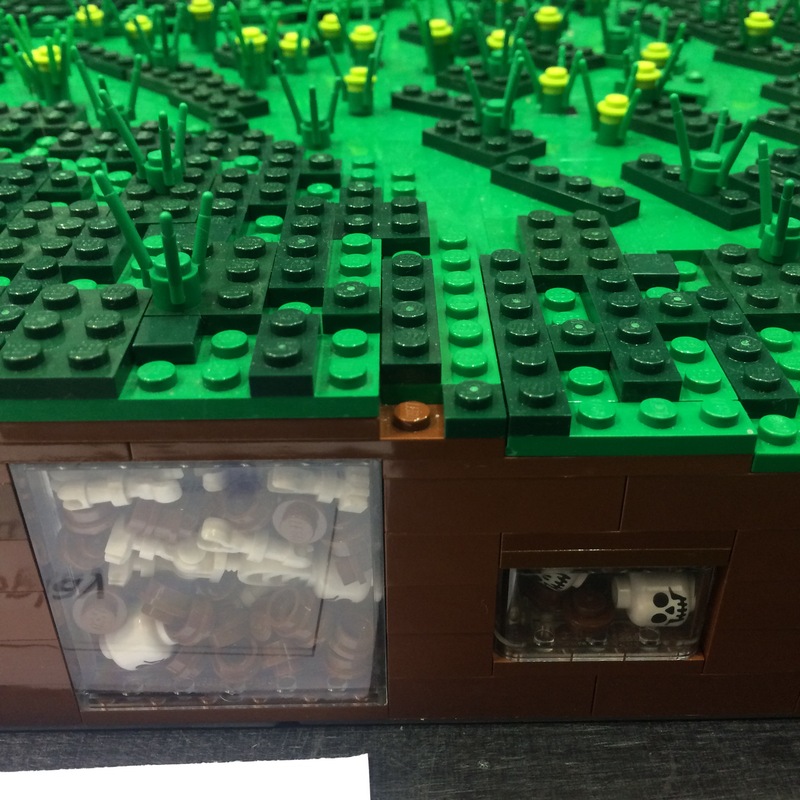 They also included features for future minifigure archaeologists to find, around the perimeter, people could peek underground into charnal pits and burial sites. They had no idea how many bricks they’d used in the model, but it looked like hundreds of thousands. 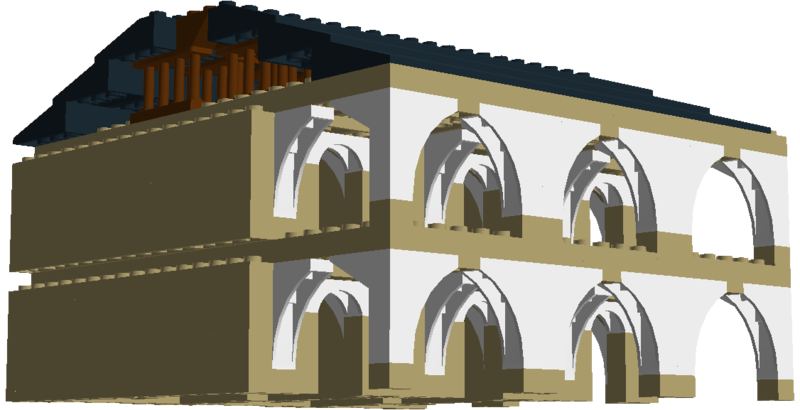 Having struggled with the roof on my Portus Magazzini model I was particularly interested in their imaginative use of cylinder and hinge bricks (among others) to create a variety of roof styles. 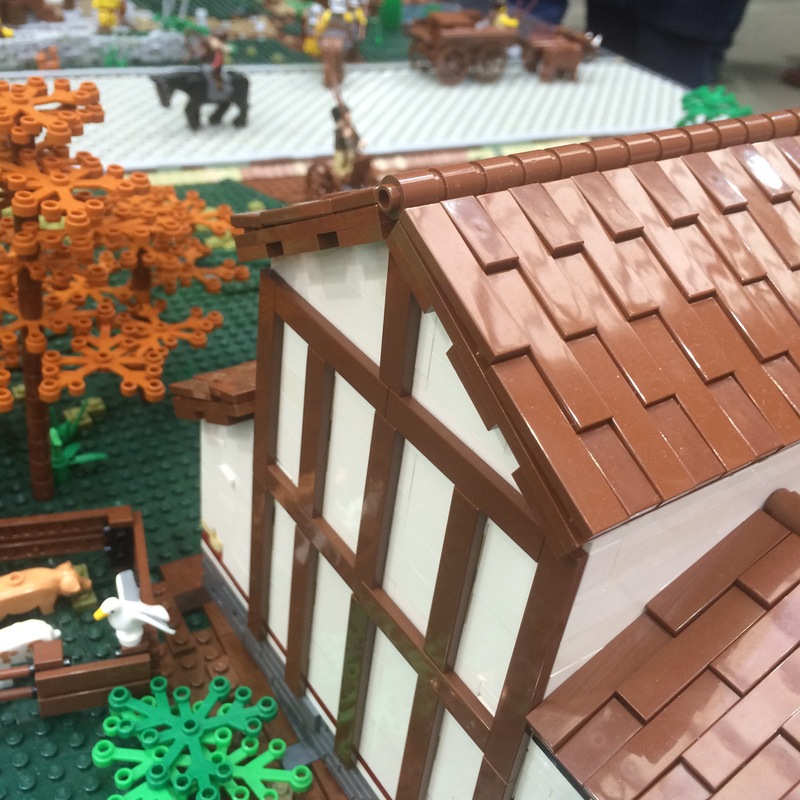 Apart from the diorama, the group also made other Roman archeology inspired models, such as a centurion, a Romulus and Remus plaque and a fragment of tiled flooring. All in all, it was an inspiring piece of Lego visualization. Participate in research and (maybe) win! Fleur Schinning is currently writing her master’s thesis as a part of her specialisation in Heritage Management at Leiden University in the Netherlands. Her research focuses on the use of blogs and social media and how they contribute to the accessibility of archaeology. Public archaeology has been developing considerably in the Netherlands for the last couple of years, but much can still be improved concerning public outreach activities. 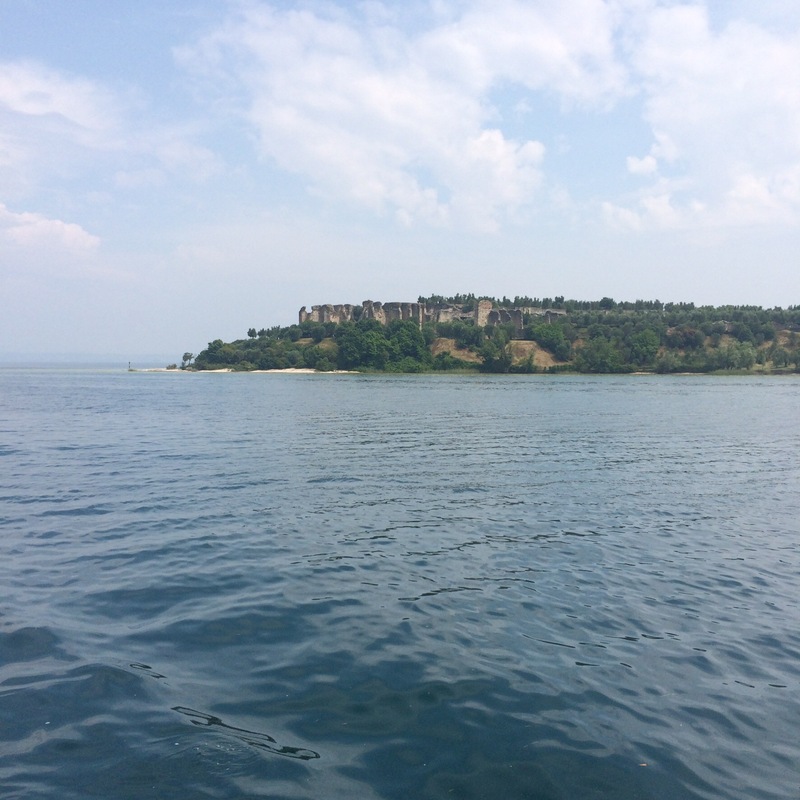 This is why she has decided to focus her research on social and digital communication methods that might make archaeology more accessible for a wider public. Her research is looking at several blogs from both the UK and USA; in these countries blogging seems widely accepted and used a lot as a tool in creating support for archaeology. To be able to explore how blogging in archaeology contributes to public archaeology, she would like to question the bloggers and (this is where you come in) readers of these blogs. She has created a questionnaire for you dear reader, which can be accessed here: http://goo.gl/forms/z3BAUTyYUL. All participants also have a chance to win a small prize; 6 issues of Archaeology Magazine! On Thursday, I attended the second day of the Archaeology department’s Postgraduate symposium, at which every PhD student is expected to deliver an annual presentation on their research. Part timers like me are required to only present every other year, so this time I was an audience member only, and Chair for one session. I hadn’t managed to go to the first day, because I was at work. Here are some selected personal highlights of the day. Eleonora Gandolfini kicked the day off introducing her work on MOOCs, local communities and cultural heritage. 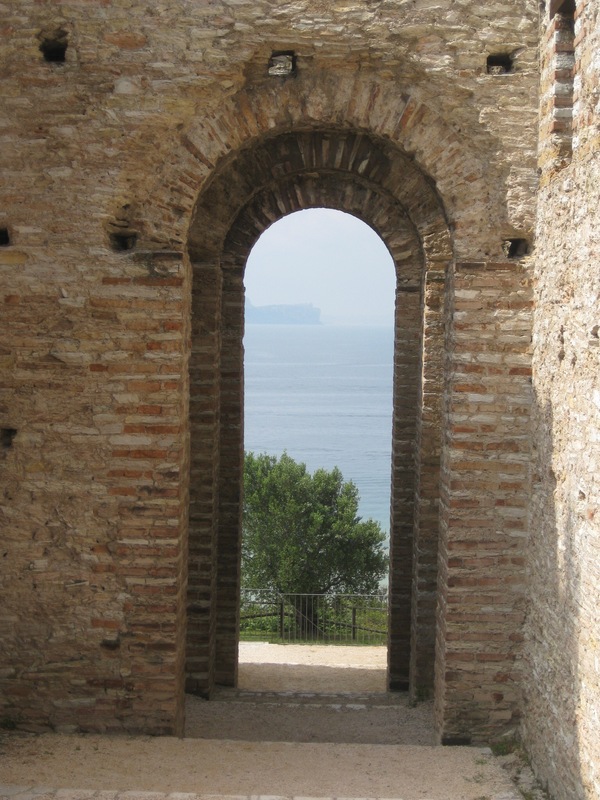 She’s looking at how the global might become local to engage communities in the archaeology of what is close to them – for a start, she’s been creating text translations of our Portus MOOC into Italian. 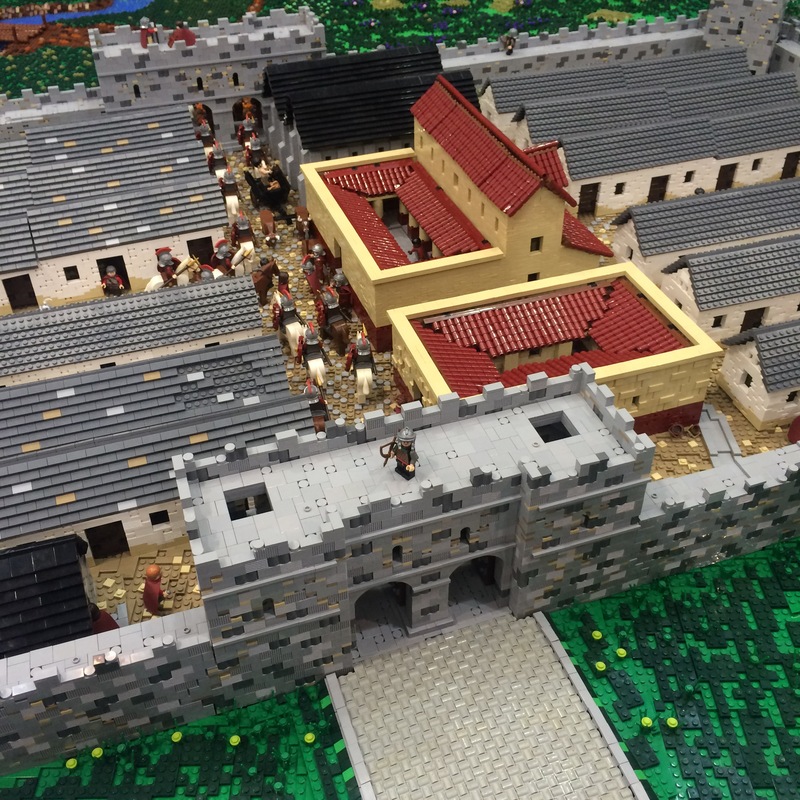 Here presentation included a couple of pleasant surprises for me: the first mention I’d heard that Portus has a past life as a safari park (which I’m sure wasn’t news to most of my peers), and a reference to, and display of, my virtual Lego model of Building 5! Dan Joyce followed with a review at all the low-cost technology that can be used in archaeology, then Danielle Newman looked at using ethnographic techniques to interview archaeologists on public engagement. Her mention of the difficulties of how different professional communities using terminology differently struck a chord with me, interpretation, for example, is word that I and my archaeologist peers use very differently I think. In the following session, the presentation that stood out for me and, it seemed, excited the room was Leah Holguin’s talk on Disappearing Landscapes of the Gobi Desert. It seemed a lot of people wanted to share her adventures, and I must admit, with all that sand and isolation, it felt like “real” Indiana Jones style, archaeology. I chaired a session on walls, with Nicholas Dugdale skyping in to present his analysis of Roman marble shipping, Katherine Crawford and Isobel Pinder with two different takes on Roman religious processionals, and James Miles updating us on his structural analysis of Winchester Cathedral. The final session ended with a really tough question for Peter Brugger who is researching the use of 3D printed versions of artefacts in museums. 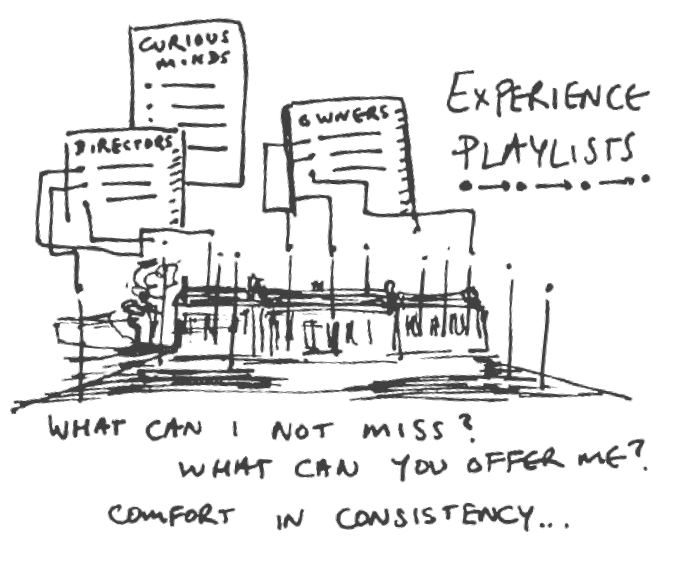 He was challenged with a question that amounted to “what’s the point?” After all, it doesn’t weight the same, or even feel the same, its by no means a replica – what is the learning outcome of a visitor interacting with it? But something he had said in his presentation made me think he already had the answer, that fiddling with the plastic version drew visitors’ attention to the real thing. So I wonder if its not an interpretive medium as such, but should be considered rather more like museum lighting, an atmospheric, sensory effect that help people understand where to look. Well that’s a whistlestop tour of my notes from the day, there were plenty of other presentations as well, but I’m off to Italy shortly, so that’s all you get from me.